These Smartiez consist of a herbal mix of green tea extract, yerba mate, guarana, pepper extract, kolanut and Siberian ginseng. 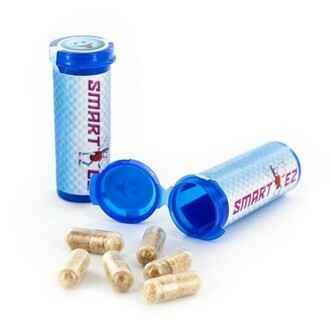 Take one of these capsules on empty stomach 45 minutes before the desired effect and enjoy the energy boost and warm pleasant high accompanied by euphoria. Content: 6 capsules.